Nipper Spores are obstacles that spawn Nipper Plants, commonly seen in the Yoshi franchise. Generally, they resemble red spheres that are attached to white balls of fluff via small, black or yellow stems. Nipper Spores (along with Nipper Plants) are traditionally introduced in the first underground level of Yoshi platform games. In Super Mario World 2: Yoshi's Island and its enhanced port, Nipper Spores are first encountered in The Cave Of Chomp Rock. They descend slowly from a certain height to the ground. Simply touching one will cause Yoshi to drop Baby Mario off his back. Upon coming into contact with the ground, they transform into a Nipper Plant, which starts walking right away. Yoshi will swallow a Nipper Spore directly upon eating it, without producing an egg. In Yoshi's Island DS, Nipper Spores first appear in the level Ba-dum BUM!. Throughout the game, some Nipper Spores are produced by Nipper Dandelion. When strong gusts of wind blow (usually caused by Windbags), the Nipper Spores are blown off of the Watage Pakkun and into the air, until they land and become Nipper Plants. Nipper Spores return in Yoshi's New Island, acting the same way as before. They are first encountered in the level Cave of the Nipper Plants. In Yoshi's Story, Nipper Spores have spikes on them. They are also foul tasting, meaning that they will hurt any Yoshi (except for the Black and White Yoshi) that attempts to eat them. In Yoshi's Woolly World and Poochy & Yoshi's Woolly World, Nipper Spores are first present in the level Sponge Cave Spelunking, where they act the same as in the Yoshi's Island series. Nipper Spore Patches are sometimes encountered in large blocks of wool that can be unwoven; they behave identically to a regular Nipper Spore. Nipper Spores also appear in Mario & Luigi: Dream Team, where Piranha Plants in battle spit them out into the background to create Fiery Walking Piranhas. In Super Smash Bros. Ultimate, Nipper Spores are mentioned briefly by Viridi during Palutena's Guidance dialogue for Piranha Plant. 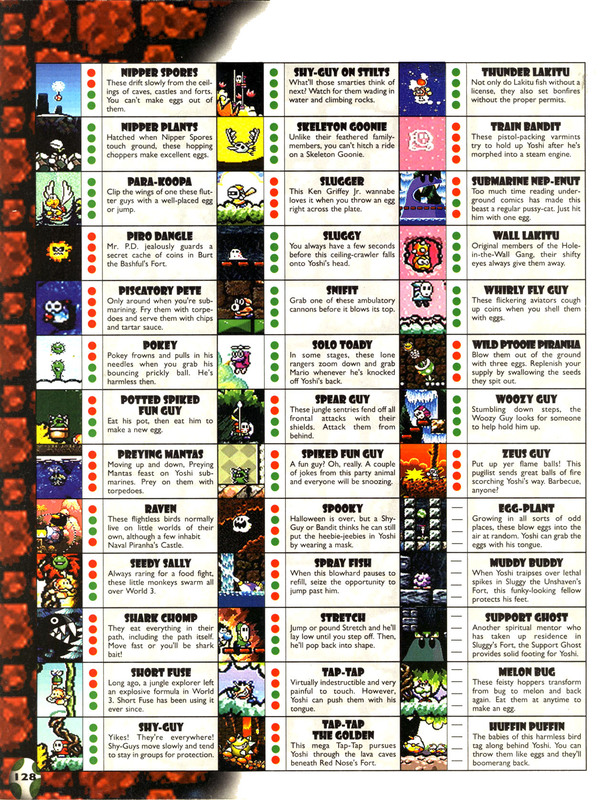 Unlike most other variations generally mentioned in order of appearance, they are listed amongst Super Mario Bros. 3 debuts. Big Piranhas, Big Fire Piranhas, Small Piranhas, and Fire Stalking Piranhas are similarly listed out of order. 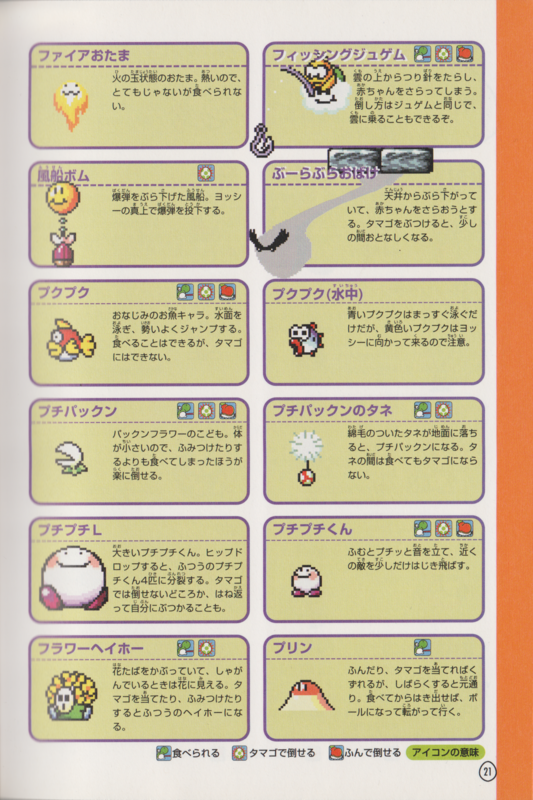 ↑ 「スーパーマリオアドバンス3任天堂公式ガイドブック」 (Super Mario Advance 3 Nintendo Kōshiki Guidebook), page 21. ↑ Yoshi's Island DS Nintendo Dream Book, page 14. This page was last edited on April 12, 2019, at 08:56.